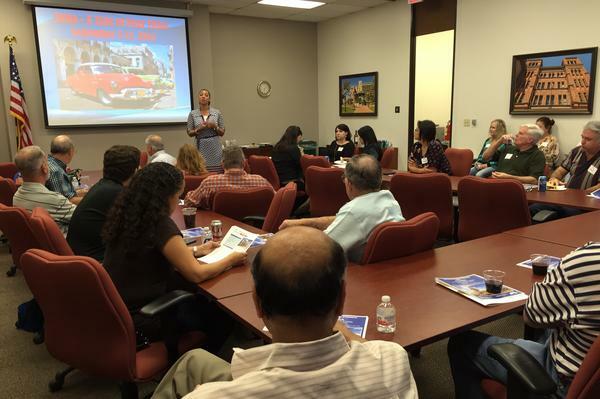 Dozens of San Antonio business leaders will soon be heading out to Cuba on a cultural exchange program, but many of them will be keeping one eye open for opportunities in the newly-opened market. The Obama administration is easing decades-long trade restrictions to the Communist island-nation. In addition, the administration is allowing American debit and credit cards to be used there. Although food, forestry and agricultural products have previously been allowed as exports to Cuba, American companies can now export building materials, agricultural equipment, consumer electronics and software. The San Antonio Chamber of Commerce is leading a “people-to-people” cultural exchange trip to Cuba where they will tour four cities in early September. Organizer Tuesdae Knight said 85 people went on a chamber-sponsored trip there back in 2012 but this trip will be much different, given recent political changes between the United States and Cuba. The island-nation has no American chains such as McDonalds, Starbucks or Taco Bell but the business climate could change in the next couple of years. “The time to visit is now, before it changes forever,” Knight said. Although the trip is focused on a cultural exchange, Joe Wilson with the San Antonio Manufacturers Association (SAMA) said he’s going on the trip and will keep an open mind and an open eye for business opportunities. “It’s not gonna hurt to go look around and see,” Wilson said.